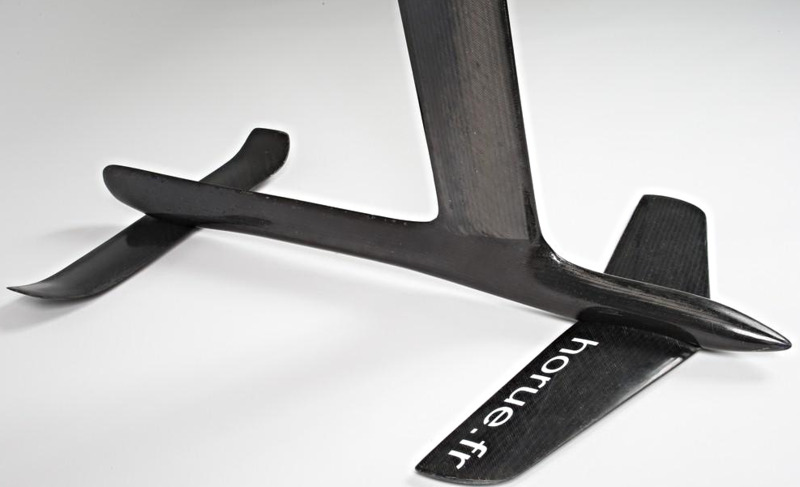 Horue is the first hydrofoil brand in the world to have integrated into its manufacturing process a process, allowing us obtaining a decoration on the composite parts without bump and without varnish. Thanks to a unique manufacturing process without varnishes, ou hydrofoil enjoy a Horue marking, without steps or extra thickness. This results in an exceptional manufacturing quality and a thickness that optimize stiffness.